This one-day course covers all building regulations relating to electricians. Becoming qualified with 2393-10 will allow you to register with competent person schemes such as BSI, Gas Safe and NICEIC. The City & Guilds 2393-10 course covers seven parts of the Building Regulations that are most relevant to electrical installations in dwellings and domestic properties. Once certified with a the City & Guilds 2393-10 qualification it is possible to register on one of the five competent person schemes such as BSI, Gas Safe or NICEIC. Logic Part P – Full Scope – VRQ Level 2 Training course is a six day course covering building regulations, practical training and allows the certification of all electrical systems in dwellings. 17th Edition 2382-15 City & Guilds Full Course – All professional electrical installers must work in accordance with 17th Edition Amendment 3 (2015). This course is an essential for anyone considering a career in electrical installation. City & Guilds 2393-10 Building Regulations for Electrical Installations course has been designed to help established electricians understand and execute the seven parts to the Building Regulations that are relevant to electrical installations in dwellings. 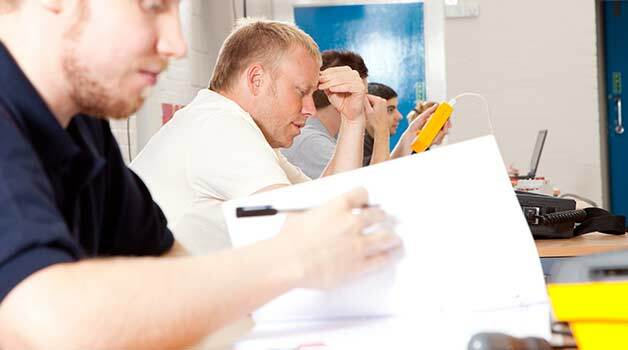 The 2393-10 electrical training London course has been specifically designed to help established electricians understand, in order to be able to comply with, the Building Regulations relevant to electrical installations in dwellings.